What beautiful weather we're having this week! But as we begin to enjoy the sunshine, we all need to remember: our eyes aren’t made for too much fun in the sun. Find out how you can take care of them this season in our newest blog! Warmer weather has arrived in the ‘Burgh, meaning slowly but surely we’ll begin heading outside to enjoy our favorite seasonal activities. From game days to beach vacations, there’s a lot to enjoy about the spring and summer months. But as we begin to spend more time outdoors, it’s very important that we consider the health needs of our eyes. That’s because - just like our skin - our eyes just aren’t made for too much fun in the sun. Being outdoors during daylight hours exposes us all to ultraviolet (UV) radiation. You’ve likely heard UV radiation - or UV rays - mentioned before, as they are a major risk factor for most skin cancers. Sunlight, as well as tanning beds and lamps, are all major sources of UV rays. The problem is that UV rays damage skin cells and eye cells alike. So in addition to wearing sunblock on a regular basis, we must also take action to protect our eyes from UV rays. Ideally, we will protect our eyes from UV rays year-round. That’s because our eyes, like our skin, are put at an increased risk of developing problems every time we expose them to UV rays. And those rays don’t disappear during the fall and winter months - we just don’t think about them as often! However, it’s especially important to take action to protect ourselves during the warmer months of the year, when we begin to spend longer periods of time outside. By the way - don't think that you're safe from those rays even though you live in Pittsburgh! The Skin Cancer Foundation reports that up to 80% of the sun's UV rays can pass through clouds - meaning that even on a gray and overcast day, UV exposure will affect our eyes and vision. Long-term or overexposure to UV light can increase your risk of developing several different eye diseases, including cataracts, macular degeneration, growths on the eye, and even cancer. And unfortunately, damage from UV exposure is cumulative, just as it is in our skin cells. That means long periods of time spent outside in your 20s will likely be involved in the development of any later vision problems. Fortunately, simply investing in the proper protective accessories is all it takes to reduce your eyes’ exposure to UV rays. 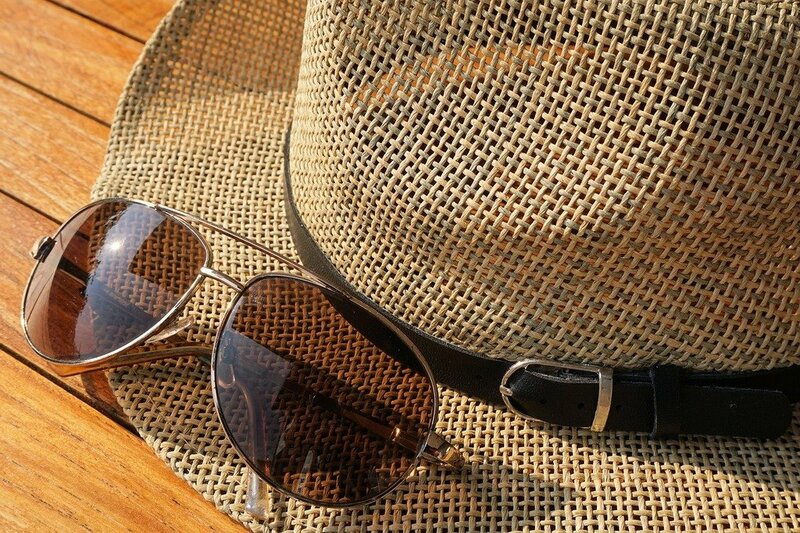 Current recommendations, as laid out by the American Academy of Ophthalmology, are to simply wear wide-brimmed hats and sunglasses (with guaranteed UV protection) whenever you spend any period of time outdoors. It’s also important to wear sunglasses if you’re around water, snow or sand during your spring and summer travels. UV light can reflect off of these surfaces, so a hat alone will not offer your eyes protection from the rays that bounce off of the ground. Even if you already own a pair of sunglasses, it’s important to double check that they’re the right kind of sunglasses before you head outdoors. Much like sunscreen, not all sunglasses block UV lights as effectively as others. Not to worry, though - effective sunglasses are fairly easy to purchase these days. To ensure that your sunglasses are up to the task of protecting your eyes, always read the label that comes with them to see what they do – and don’t – do. Aim to buy a pair that protects your eyes from both ultraviolet A and ultraviolet B (UVA and UVB) radiation. If you cannot find these things listed on the label attached to a pair of sunglasses, you’ll want to find a different pair that does. Always read the labels that come with sunglasses, and never assume that darker sunglasses will protect your eyes. Lens colors do not affect UV protection. Darker sunglasses that aren’t made with proper UV blocking materials are actually worse for your eyes. Their darker tints increase the dilation of your eyes and therefore increase the UV exposure your eyes receive! Have Fun in the Sun - Safely! While the idea of sunlight damaging our eyes can be intimidating, with the right tools, you can enjoy your seasonal fun outdoors while also reducing your risk of developing vision problems related to UV ray exposure. Just remember that it’s important to invest in these protective tools and to use them now, while your eyes are still healthy. Our staff members would rather see you wearing your hats and sunglasses now than see your eyes developing problems later in life. If you have concerns or questions about finding the best protective accessories for your own eyes, not to worry! 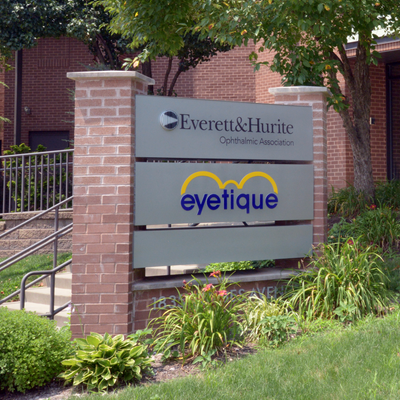 You’re welcome to talk to your Everett and Hurite doctor - we’ll be happy to provide advice and feedback regarding your vision needs and care. Call an office near you today, or contact us online to request your appointment and get ready for your spring breaks and summer vacations! July 18, 2017, 7:02 p.m.